I live in Boulder, Colorado so the weather here is always a topic of conversation. One day it’s bright and sunny and you want to wear flip flops and the next day you’re bundling up with a beanie on and it’s snowing. It was one of the last snowy days before Summer (which was still in late Spring when I thought we’d had our last snow) that I made this hot pot for my family. We passed the time away inside by making wontons together and I told them how I used to make them with my family for our church fair growing up. They always enjoy eating and trying new things when they participate in the cooking, so they loved this hot pot - the wontons almost fill with the broth like a soup dumpling and the cook up fairly quickly because of the small amount of filling in them. My kids gobbled up their 4 wontons pretty fast but feel free to add more if you know you’ve got little wonton lovers like I do! You need to make the Pork Wontons and the Macanese Broth in Advance here so please start with these! In a 4-quart hot pot or large saucepan, heat the vegetable oil over medium-high (about 425 degrees for an electric pot). Add onions and cook, stirring, until translucent, 4 to 5 minutes. Add the black garlic and cook until fragrant, about 1 minute more. Add the broth and bring to a boil. Add the wontons, reduce the heat to low, cover and simmer for 5 minutes. Add the vegetables and tofu, cover and cook for 5 minutes more, until the wontons are cooked through and the vegetables are tender. Ladle into shallow bowls and serve. Black garlic is fermented garlic that is sweet and savory with a deep molasses-like flavor and a very soft consistency. It’s signature black appearance is due to the fermentation process where it produces melanoidin and turns the garlic black. You can find it in specialty food shops and online. 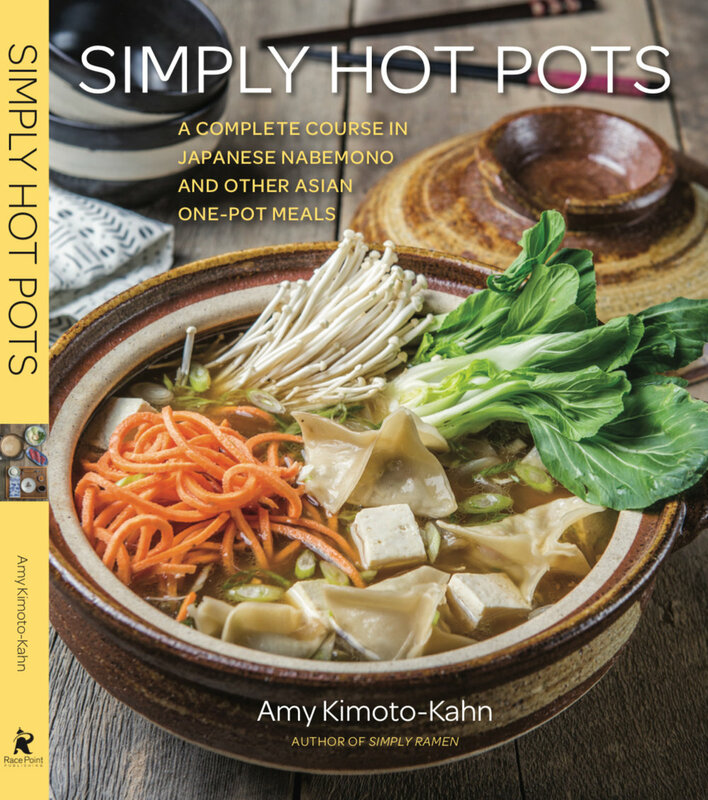 This recipe is easy to scale up or down depending on the size of your group and hot pot. Just be sure that your hot pot is filled about halfway with broth. If the liquid reduces overtime, add more.